Congratulations to Erica Diazoni who was awarded the 2008 ATA International Student Award for her work accomplished while pursuing a degree at San Jose State University. 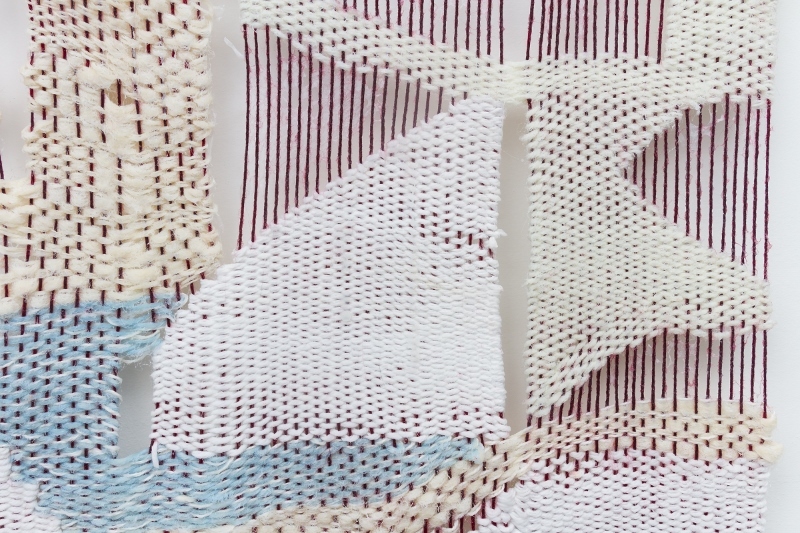 Erica Diazoni learned the basics of weaving as little girl and is currently studying textiles as art with Professor Consuelo J. Underwood at San Jose State University. The final paper in her art history class was to compare something from her textbook with a comparable piece in the same medium. She chose one of the Unicorn Tapestries and, as it happened, the American Tapestry Biennial 6 was at the San Jose Museum of Quilts and Textiles at the time so she had lots of tapestries to choose among. 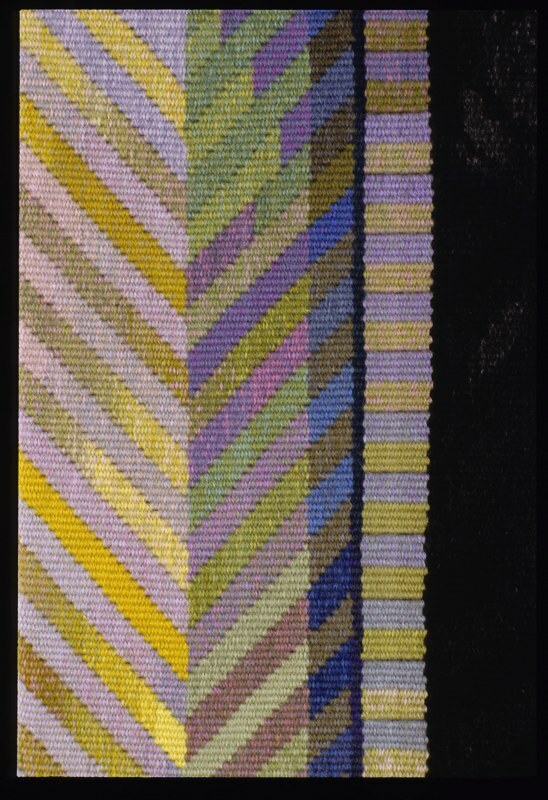 She ultimately selected Tricia Goldberg’s tapestry “Stamps” as the comparison for her paper. 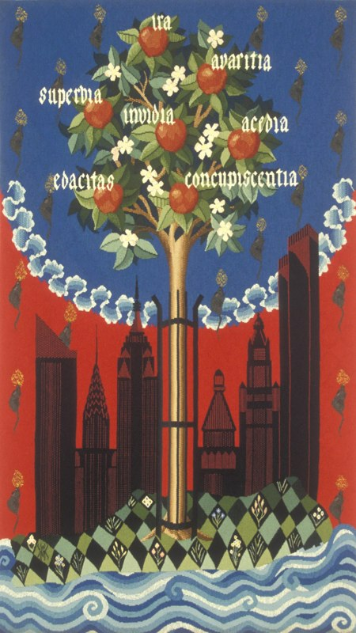 Erica said she was “blown away” when she saw all the tapestries on the museum’s walls. 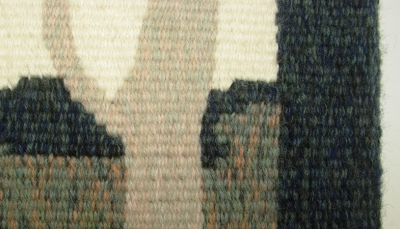 She said that she appreciated the possibilities of putting content, especially narrative, into the weavings. Her studies of fabric weaving was becoming too mechanical and harder to justify when compared with the speed and ease of machine weaving. 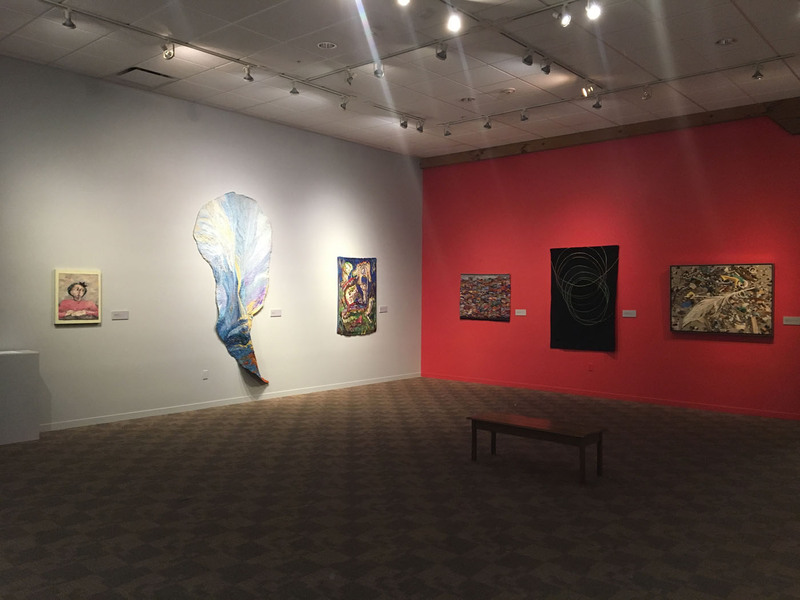 On one of several return visits to the San Jose Museum of Quilts and Textiles, Erica met Tricia Goldberg. This encounter lead to Erica sharing her final paper with Tricia and subsequently, taking a workshop with her several months later. Erica, a beginner tapestry weaver, submitted one of her first pieces, The Invisible Essential, to the LAND exhibition at the Australia National University.